Exhibiting a strong desire to build a lucrative rental property portfolio is perhaps the most common denominator amongst today’s greatest investors. Passive income is, after all, one of the single greatest retirement vehicles. Nothing has proven more effective in supplementing your golden years than a properly assembled rental property portfolio. That said, a passive income portfolio is anything but passive at the onset of your endeavor. To compile a rental property portfolio you can depend on, you need to put in a lot of work up front. It is a bitter truth, but a truth, nonetheless: In order to generate passive income, you must work hard to see to it the everything is in place, not the least of which is your own education. And what better place to start than learning how to determine rental property value? Those that can determine the true value of a rental property before they buy it will find success much easier to come by. Unfortunately, there isn’t a single, universal rental property value calculator that works for every single subject property, or even one that matches the intent of every investor. There are simply too many variables that must be considered for a basic calculation to account for everything every investor needs. There are, however, several rental property value calculators that, when combined, can give investors a good idea of how to value a subject property. Let’s take a look at what they are. Real estate is unique, in that the same property may be valued differently between several investors; how one investor values an asset may be entirely different from his or her own counterparts. I guess you could say rental property value is in the eyes of the beholder. That, or each investor relies on their own rental property valuation strategy. If for nothing else, there are several ways to value a rental property, each of which should be called upon in specific scenarios. The sales comparison approach relies on what we in the business call “comps,” otherwise known as comparables. Comps, as their names suggest, are similar properties within close proximity to the subject property, and are, therefore, the closest analog for determining a home’s value. The more similar the comp, the better the rental property valuation will be. That means the comp will need to be in the same neighborhood and boast similar room numbers, bathroom numbers and square feet. The sales comparison approach will have those intent on valuing a subject property compare it to similar homes in the area that have either recently sold or rented. It stands to reason that if a similar, nearby home recently sold for, let’s say $500,000, that the similar subject property will demand a similar amount. Similarly, if a comp is currently renting for $2,000 a month, there’s no reason to think the property you are trying to value won’t be in the same range — that is, if you have done your homework. For this approach to work, the comps need to be accurate. Not surprisingly, no two homes are exactly the same, so determining what qualifies as an accurate comp is a skill in and of itself. More involved than comparing recent sales, the capital asset pricing model (CAPM) accounts for risk and reward. In other words, this strategy will weigh the risks of buying a subject property with its potential rewards, and pit them against other investment vehicles. The trick here is to use a relatively safe “control,” like a United States Treasury bond, and compare it to the subject property in question. In comparing the risk and opportunity cost of a rental property with a safe alternative form of investing, investors can place an objective valuation on the rental property. At the very least, they can gauge whether or not the risk is worth the reward. You see, if the return on investment from the “safe” alternative exceeds the potential rental property’s own return, there’s no reason to buy into the riskier investment. As its name suggests, the income approach will have investors determine whether or not the investment is worth buying into based on how much money it’ll bring in relative to the purchase price. In other words, does the potential for income justify the amount it’ll cost to procure the investment? In order to utilize the income approach, however, investors will need to be able to calculate the cap rate of an investment. In its simplest form, a cap rate is a metric used to determine whether or not a property is worth buying. What’s more, calculating a property’s cap rate isn’t as hard as many would expect; simply divide the property’s net operating income (NOI) by the amount it costs to buy the property. It is worth noting, however, that the resulting number isn’t indicative of the property’s return on investment; it’s more of a metric to help you compare two similar assets. The cap rate will, therefore, allow you to value a rental property based on other rental properties. Identifying the subject property’s cap rate will allow you to compare it to other rental properties and make a better decision. The cost approach relies on a more objective analysis of the subject property; basically, that a rental property may only be as valuable as what it can reasonably be used for. To quantify what a rental property can reasonably be used for, simply combine the land value and the depreciated value of any improvements, according to Investopedia. More importantly, the rental property value is entirely dependent on the best use of the asset. As you can tell, rental property value is relative. There are several indicators that can influence how individual investors value rental properties. The key, however, is not to use a single valuation strategy. Today’s greatest investors already know it, and it’s time you did, too: to truly gauge the value of a rental property, one must use every method at their disposal. Only once you have all the data you need can you make a sound decision. 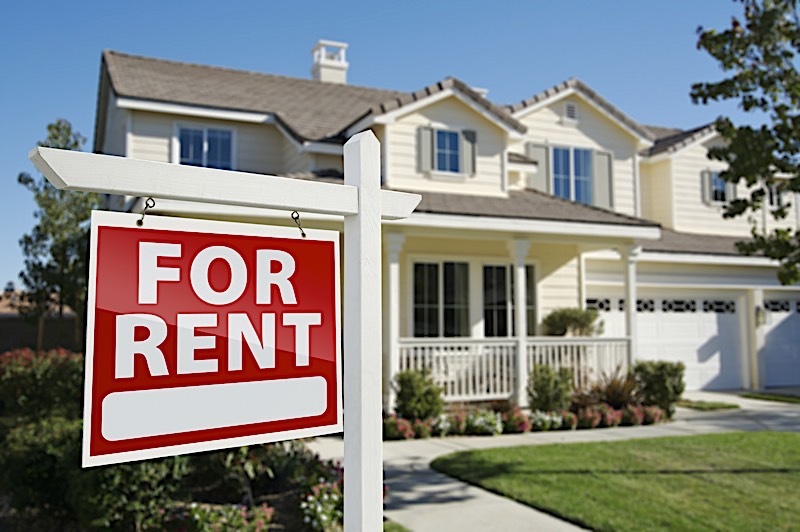 Rental property value can be calculated in more ways than one. The fair market value of rental property is relative to what they hope to accomplish. Understanding rental property values before buying an investment is integral to a successful exit strategy.